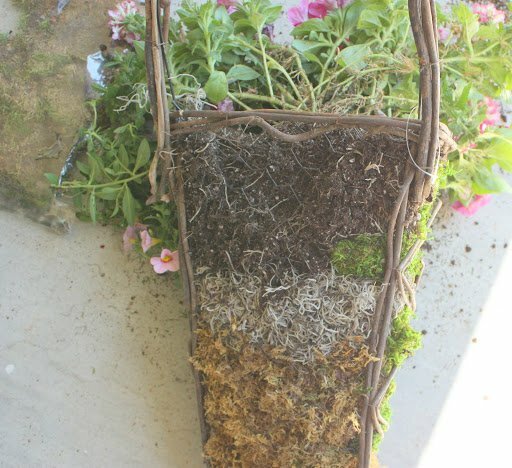 Easy Front Porch Moss Basket.. I hope you all had a wonderful Easter! We had a great weekend with friends and family and we also spent a lot of time working on our yard, porch and flower beds. I hate to say it, but I’m not much of a huge fan of gardening. 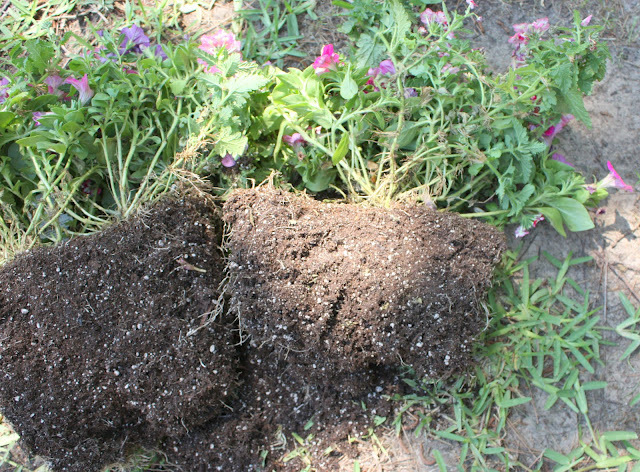 Although, I do love the end results of a beautiful yard and flower beds, I just don’t have a green thumb and it takes a lot of time and patience, both of which I have none of! I’m more of an instant gratification girl and I’d rather have a glue gun in my hand than flower seeds. 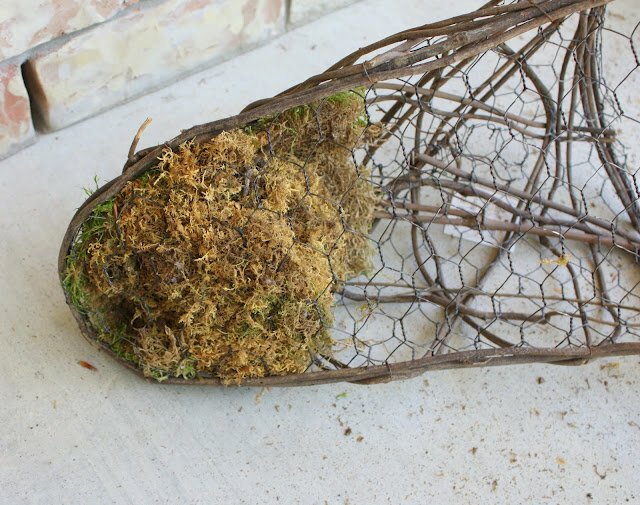 Over the last few years, I have made an easy moss basket in the Spring for my front door to keep up through late fall/Christmas, as alternative to having seasonal wreaths throughout the year. 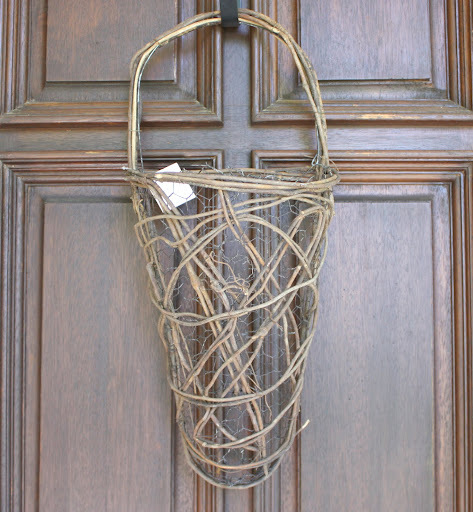 I don’t have the time (or interest) to make and switch out wreaths, so this basket is an easy way for us to have something pretty on our door without much effort. 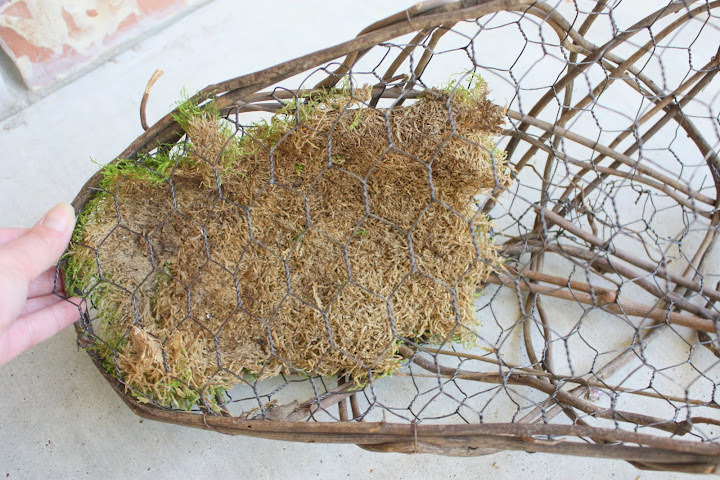 I then covered the top dirt with a small amount of spanish moss that will help retain moisture in my basket. After I took this picture above for you to see the three layers, I stuffed additional Spanish moss behind the dirt to also help retain the water and keep the dirt from falling out the back. 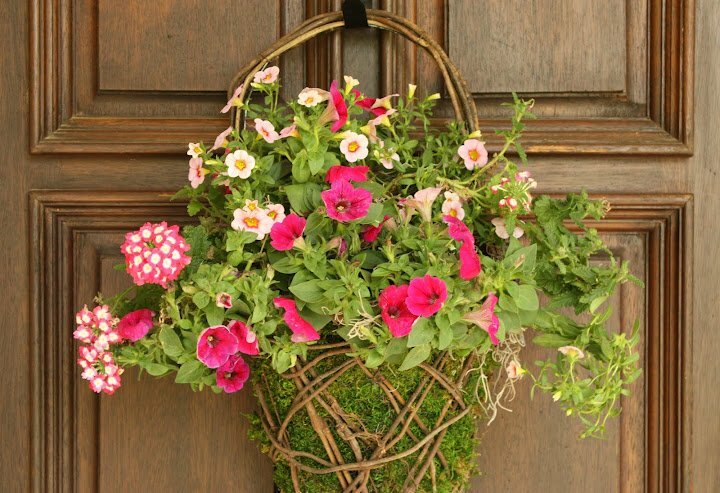 When I lightly water the basket, I remove from the door and rest on the porch for a few minutes just in case any of the water leaks out. 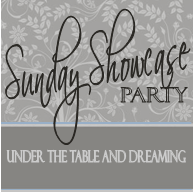 I have several projects that I have completed this week that I plan on sharing next week. I also have a new feature starting next Friday that I think you guys will like. How beautiful! 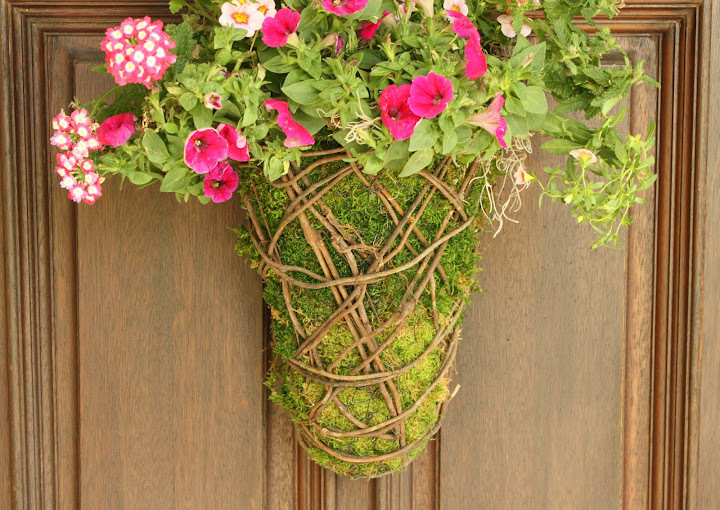 It’s a nice alternative for a wreath, and it really makes a statement! 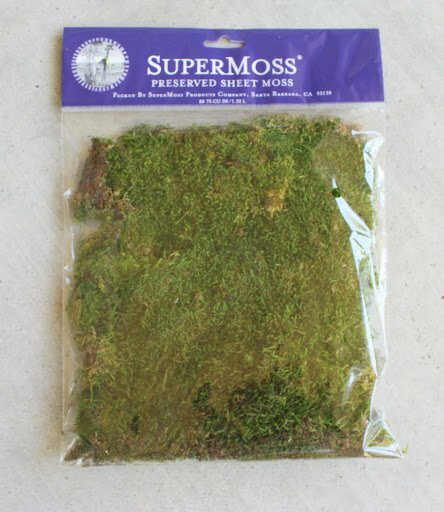 I love the moss! So pretty! Thank you Maria! I wish I had taken pictures last year when it was full of dried lavender. That was really pretty too. Two years ago I filled it full of wheat. There are a lot of different things you can do with this. Thanks again! This is adorable. How do you keep the back dry enough not to mess up the door? Do you put plastic on the back side or something? Just curious! I love it!!! So creative! I really would like to make one for my door! I didn’t show it in the picture because I wanted you to see the three layers including the dirt but I added additional spanish moss behind the dirt before I hung. The moss prevents the dirt from falling out the back and water not dripping out. When I water it, I take it off of the door and set it on a step and let it sit for about 20 minutes after watering. Thanks for mentioning the backside issue Lisa, I am going to add what I did to the post. I love your idea! Very pretty. 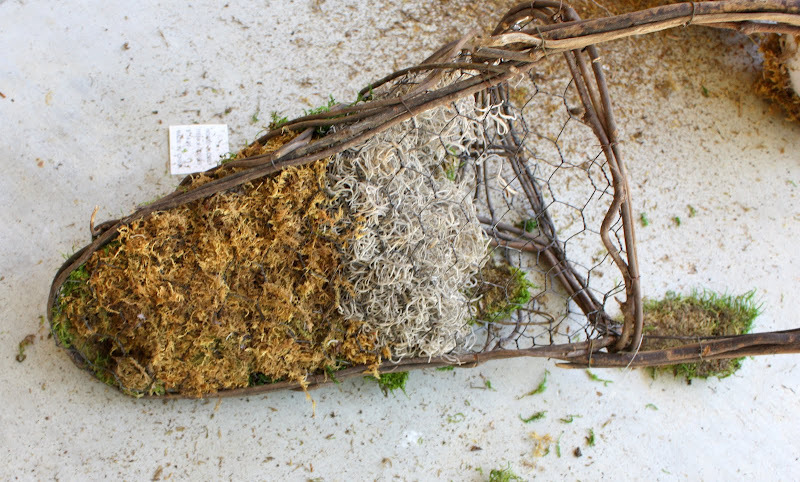 I was a little concerned about the water issue and the door but as you described it (with more moss tucked into the back and around the soil and root balls) I can see that there wouldn’t be an issue as long as you don’t over-water. Your neighbor’s idea is also very good, but maybe the plants would dry out a little more quickly if they remain in their pots? 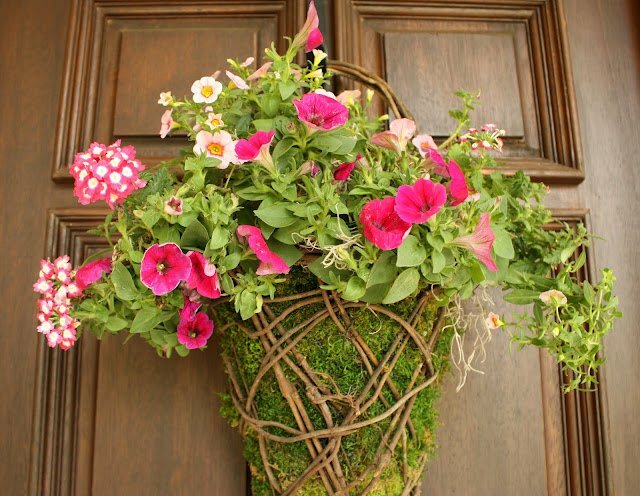 I will try this idea – I have a spot on my small deck where I usually hang a windchime but something like this planter basket would work great in that area (from an arm of the backyard spotlight that juts out from the wall). That is awesome!! 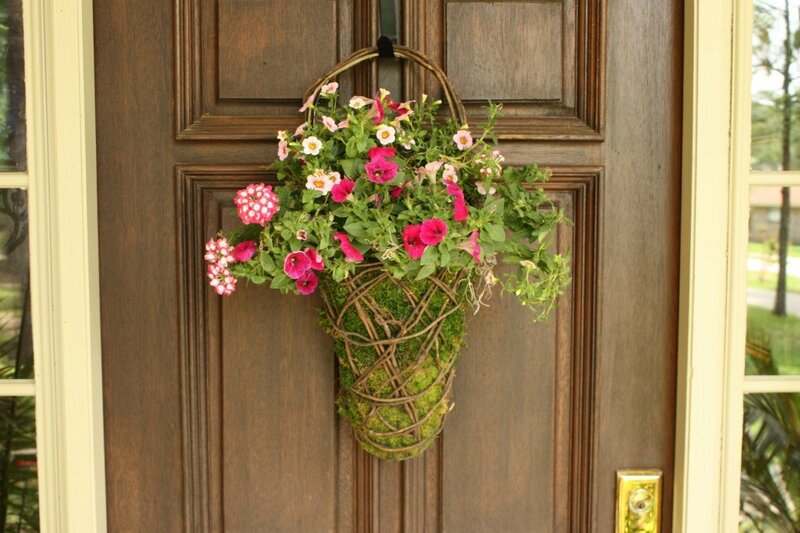 I love baskets hanging on front doors. 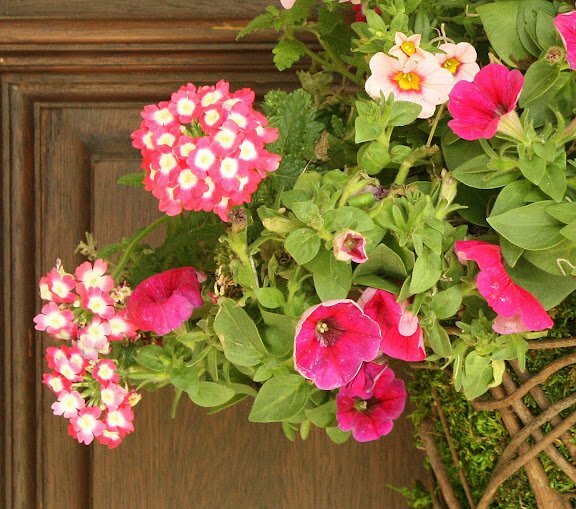 I love the pink verbena you used – it looks like polka dots in your arrangement. Very pretty! I love your door decoration! It is really beautiful! Stopping from Tip Junkie. Love the real flowers on the door! I am not a fan of silk flowers, so I am always looking for an alternative. This looks beautiful! That looks fabulous, love it! 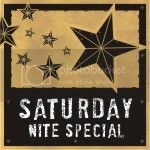 I would love for you to share this (and any other creations) at “Pin It & Win It Wednesday” at http://www.cheapcraftymama.com! This is so pretty!! Do you remember where you got your grapevine holder?